Aston Villa are interested in the services of Leicester City defender Christian Fuchs, it has been claimed by Mirror. The Championship outfit enquired about Fuchs as they are keen to sign him on loan for the rest of the season. The Villans are struggling for consistency in the league, and though they have improved under Dean Smith in recent weeks, they might need a few more additions to close the gap on the teams above them. Having joined Leicester City in the summer of 2015 on a free transfer from Schalke, Fuchs became a regular starter under the tutelage of Claudio Ranieri from October in their title-winning 2015-16 season. 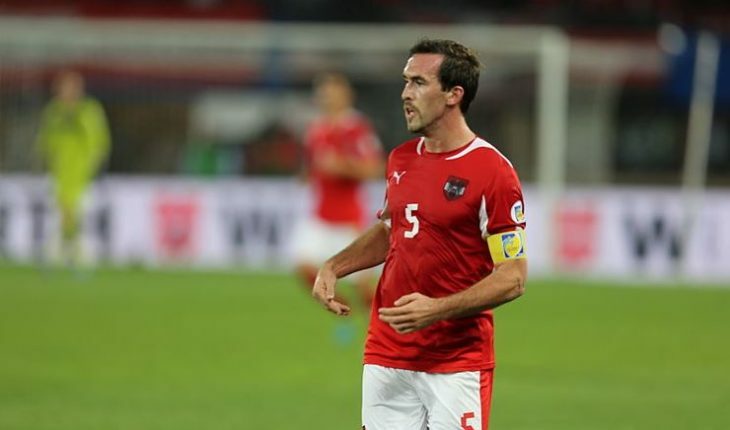 The full-back had also represented the Austrian national side on 78 occasions before retiring in 2016. This season, Fuchs has managed to muster just one appearance in the Premier League as Claude Puel has preferred Ben Chilwell in the left-back position. Fuchs has been frozen out and his days at the King Power Stadium appear to be numbered. However, the former Schalke star is far from being an obsolete commodity. Fuchs might not have the same burst of pace he had in his days in the Bundesliga, but he good in the air and reads the game well. His contract with Leicester City is due to expire in the summer and he is expected to move to the United States at the end of the season to end his career in the MLS. A move to the Villa Park would be a good option for him to get regular playing time and help the tea with his expertise. Dean Smith only has Neil Taylor as a recognised left-back. Although Smith has used Alan Hutton in the left-back role due to Taylor’s absence through injury, it hasn’t been productive for Aston Villa and has rather disrupted the things at the back and while in the transition as well. If Fuchs’ move to Aston Villa materialises, he could walk straight into their starting line-up. The former Austrian international can provide an attacking outlet from the left with his brilliant deliveries and is pretty good in the air as well, which would come in handy in set-pieces. Still only 32, Fuchs still has it in him to impress in the Championship and a loan deal would definitely benefit Aston Villa.